As an artist, one should never feel complacent, one should progress with the era, ceaselessly attaining new achievements, and to reach this goal, I shall work without end. 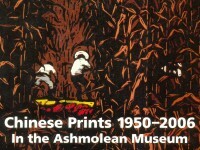 Huang Pimo began to study woodblock printmaking in the late 1940s. He has worked primarily in Nanjing as a teacher and newspaper editor. Although he has never worked as an ‘official’ artist, he was one of the principal innovators at the Jiangsu School of shuiyin woodblock printmaking and an important figure in bringing Chinese shuiyin woodcut techniques to a new stage of development. He has summarized his innovations as ‘one block acts as many blocks’, ‘one colour produces various changes’ and ‘one paper plays multiple roles’. 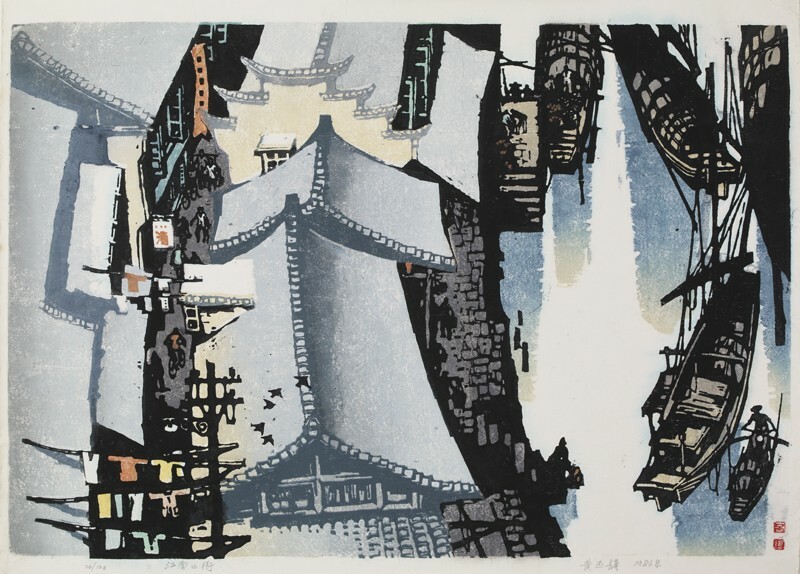 His woodcuts often depict scenes from southern China, and as a Chinese ink painter, he has enriched the language of the woodcut by absorbing elements of traditional Chinese painting and calligraphy into his technique.